Cut to the Chase Games is dedicated to bringing fun into gaming, so it’s only right that you’d be curious about who are. Take a gander! The man behind the story, “Weird Dave” is a native Minnesotan with an inborn passion for games of all sorts. 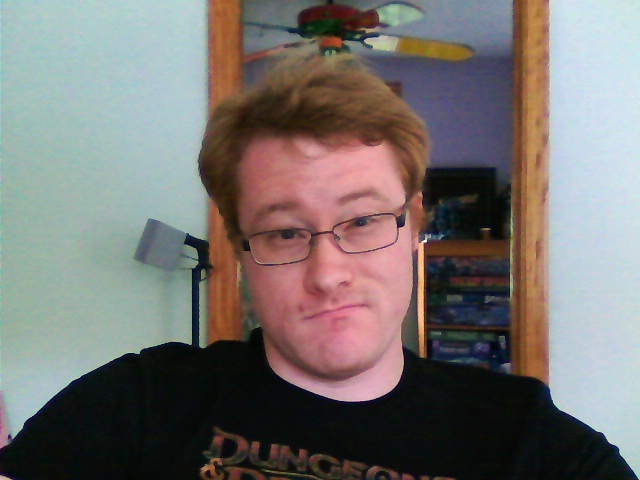 He’s been playing roleplaying games since 1995. You can usually find him contemplating how to add the word “thew” to a scenario he’s currently developing or torturing players in his basement. That’s where the game table is! He lives in St. Paul, MN, with his ever-supportive fiance and two cats who truly rule the house.